Reliance Jio Phone is yet to become widely available for the public to purchase, but there’s already an alleged case of the handset exploding. According to the news report, Reliance Jio’s much-awaited 4G feature phone — JioPhone — reportedly exploded while charging in Kashmir, roughly a month after the company started the delivery. 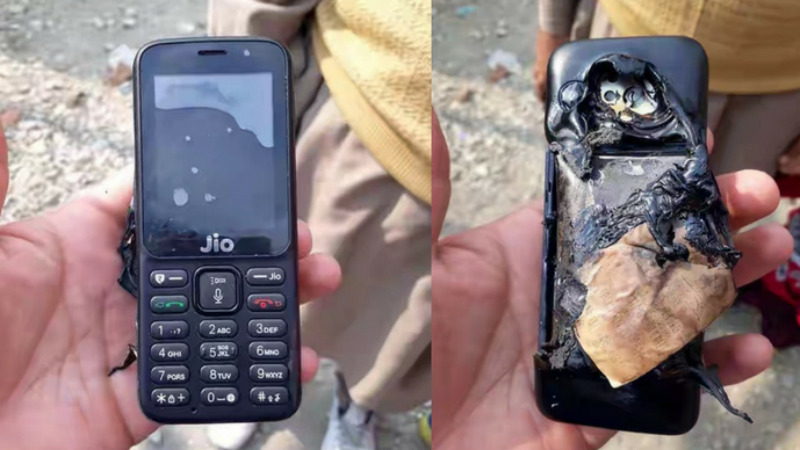 A tech blog Phone Radar has shared images of an allegedly-exploded device of Jio Phone on Twitter. As per blog, the explosion happened in Kashmir. The image shows a melted back panel of the phone, while the front panel doesn’t have any signs of an explosion. “Jio Phones are designed and manufactured with global standards, and each phone goes through stringent quality control process. The said incident has been reported to us. Our initial investigation suggests that this is a case of intentional sabotage,” the statement said. “The damage to the device seems to have been intentionally caused. The incident, as well as its timing, has been designed by vested interests to malign the brand. We will take appropriate action based on further investigations,” it added.